Babor Basic Care Lip Repair Balm / Gee Whiskers! 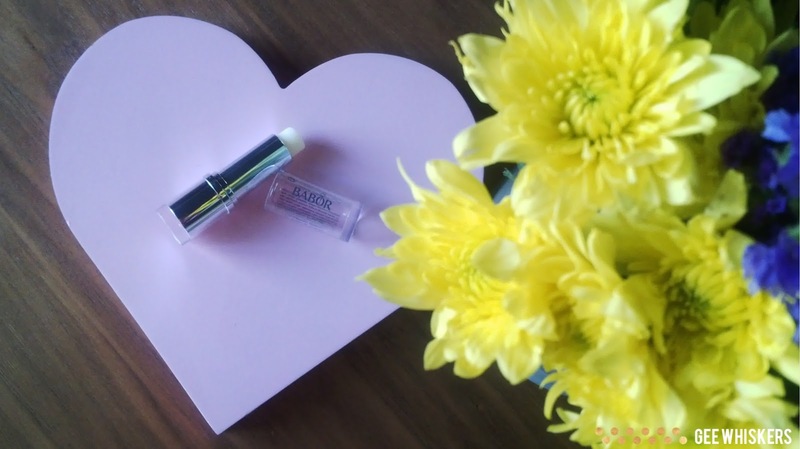 I am a big user of lip balms and I am incredibly fussy when it comes to the ones I use. I am not one that worries about the smell or look of lip balms, I want a balm that works. I recently attended a Babor event at the One & Only hotel in Cape Town. We received a fantastic goodie bag at the event, I am still testing the products out but just had to share the Lip Repair Balm. I took this balm with me on my trip to Copenhagen. The very long plane rides, long layovers in Dubai and very cold, windy weather in Copenhagen put this lip balm to the test. Leading up to the trip I felt very dehydrated and struggled with a few cracks on my lips. I applied the balm just before I got onto the plane for the 9 hour flight to Dubai and reapplied once during the flight - the balm lasted really well on my lips and what I loved it that it didn't just sit on the surface, it was absorbed and made my lips look so much better. But the third day of using this balm, applying a few times a day, my lips were smooth, free of cracks and had no dehydration lines. The blam comes in really attractive packaging that looks and feels expensive. At R154 it is more expensive than normal supermarket lip balms but this is no supermarket brand. The balm is made with Argan Oil that regenerated the lipid layer of the skin. It also contains shea butter and natural oils - avocado, soja, sesame and olive. These helps moisturise and nourish the lips making them soft and supple. With these high quality ingredients R154 is actually a really reasonable price. You all know me by now, I test products out to see if there are other uses for them. I used this balm to treat dry spos on my face and used it on my cuticles too. While I was at the Copenhagen Zoo, trying to photography a reindeer, a throny plant hooked onto my hand and left me with a stringing area on the side of my hand- it felt as if a bee had stung me and the area broke out into little itchy, stinging bumps. I only had the balm on me so I tried it to sooth my skin, it helped ease the stinging and even though it was still uncomfortable, I continued to apply and my hand was all better by the end of the day. You can purchase this lip balm and other Babor products online. If you sign up for the newsletter you can get 15% off your next online order. One thing I particularly like is that you get a free gift with each other which allows you to test out other products to really experience the brand. Love this lip balm and the packaging!